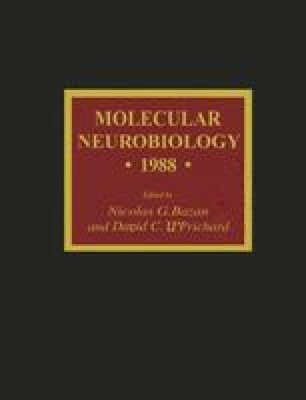 There are now many examples of the successful expression of genes transduced by retroviruses in studies from outside the field of neuroscience. Retroviruses will undoubtedly also prove to be effective tools for neuroscientists interested in expressing cloned neurotransmitter and receptor genes. There are also other less obvious applications of retroviruses, such as their insertional mutagenic effects, which may be useful in studies of the genetic factors and biochemical mechanisms involved in, for example, neurotoxicity. Strong cellular promoters have been identified by retroviral infection and subsequent rescue of the flanking genomic DNA. Retroviruses can be employed again to reintroduce these regulatory sequences back into cells. In this way the complexities of gene expression in the many subpopulations of neurons maybe unraveled. Retroviruses can also serve as very useful genetic markers in studies of development and lineage relationships. Retroviruses may be used to efficiently transfer oncogenes into neuronal cells to create new cell lines. This application exploits one of the natural traits of retroviruses—oncogenesis—which led to their original discovery. Finally, there are neurotropic retroviruses that could serve as important vectors for delivering genes into neurons. Studying these retroviruses may lead to an understanding of how they cause neuropathologic changes in the CNS. Author to whom all correspondence and reprint requests should be addressed.